"Hamilton's America" premieres this Friday, October 21 on PBS. Watch it online now through November 18. Inside the Union Palace Theatre where the screening of "Hamilton's America" was held. Almost 1000 people we in attendance for the screening. Lin-Manuel Miranda interviewing with Extra on the red carpet at the official screening of "Hamilton's America" at the Union Palace Theatre in Washington Heights. Lin-Manuel Miranda and father Luis A. Miranda at the official screening of "Hamilton's America" at the Union Palace Theatre in Washington Heights. 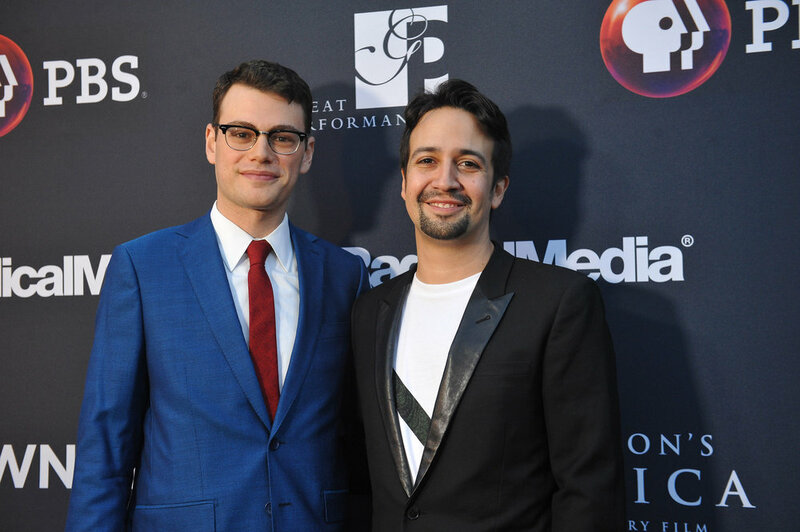 Alex Horwtiz and Lin-Manuel Miranda on the red carpet at the official screening of "Hamilton's America" at the Union Palace Theatre in Washington Heights. PBS Exectuives and Lin-Manuel Miranda on the red carpet at the official screening of "Hamilton's America" at the Union Palace Theatre in Washington Heights. PBS President and CEO, Paula Kruger gave the opening remarks at the screening of "Hamilton's America" last night at the Union Palace Theatre. CBS "This Morning" host and panel moderator Gayle King on the red carpet at the official screening of "Hamilton's America" at the Union Palace Theatre in Washington Heights. 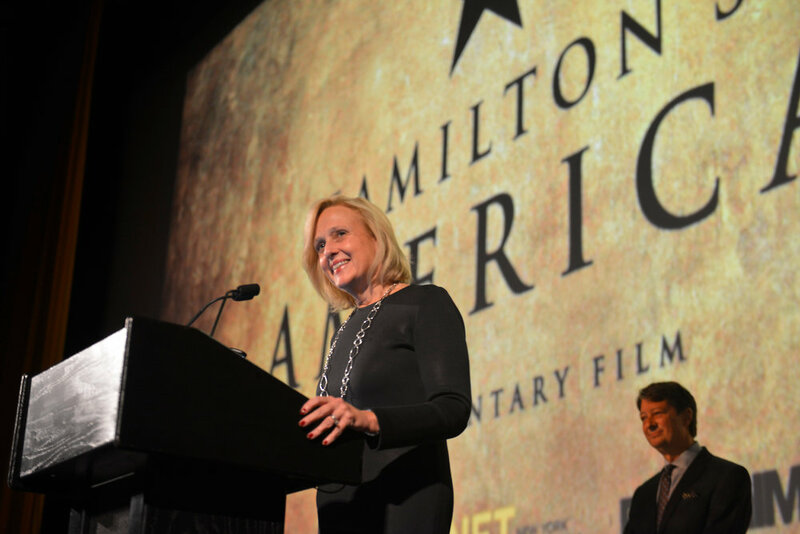 Goodman Media had the privilege of supporting our client PBS, and our local New York station WNET/THIRTEEN to promote the documentary “Hamilton’s America," which premiered Friday, October 21 on PBS. In addition to supporting PBS and WNET’s communications efforts, Goodman Media spearheaded the planning and management of a media-focused red carpet event held prior to the screening’s VIP reception at the Union Palace Theatre in Washington Heights. Those in attendance included Lin-Manuel Miranda, creator of Hamilton, Alex Horwitz, filmmaker and director of "Hamilton's America," and Ron Chernow, author of the book "Alexander Hamilton" that inspired Miranda's Broadway musical sensation. Other guests included Gayle King, host of “CBS This Morning” and moderator for the evening's Q&A, Hamilton fan Christine Baranksi, Hamilton cast members Christopher Jackson, Jasmine Cephas Jones , Rory O'Malley, and many other guests. "Hamilton's America" is behind-the-scenes look at Lin-Manuel Miranda's Broadway musical Hamilton, part of WNET’S venerable Great Performances series and part of the 2016 PBS Arts Fall Festival, which Goodman Media promotes. You can stream "Hamilton's America" online now through November 18 here: http://www.pbs.org/wnet/gperf/episodes/hamiltons-america/.